I’ve wanted to make “little” patterns for over a year now…so I finally jumped on the bandwagon and got a couple published. They are baby size quilts that use fat quarters or small cuts of fabric…made especially to be great kits for quilt shops and shows. The first up is Mingle (in my shop here). I perfected my swirl quilting on this one…seriously it’s the best quilting I think I’ve ever done on my own machine. I can only say that because I’ve tried it about 50 other times and it always looked like a big fat pointy-swirly-mess. The fabrics are from my friend Vanessa’s Color Me Happy line and some solids. LOVE this fabric. Love love love love love it. Playful is 38” x 45 1/2”…I almost wanted to make this one bigger, but the pinwheels are so cute and little so I stuck with it. I can’t give up the Pez fabric..it sneaks its way into most my quilts. 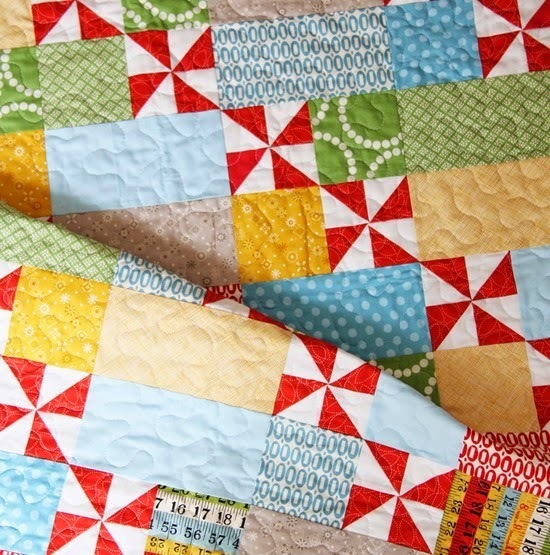 This one I speed quilted in my sleep…don’t look too close! I made a mockup of this with Color me Happy in all of my free time (HA! )…love these hot pinks! The playful pattern is in my shop here. I have more pictures to share but I just realized this is the longest blog post…so another time! How Fun!! I love the small size too. I really like it because it is fun to quilt. There is nothing that I don't get too tired of when quilting on that size of quilt :) Cute patterns. I love littles. And they are fun and quick! 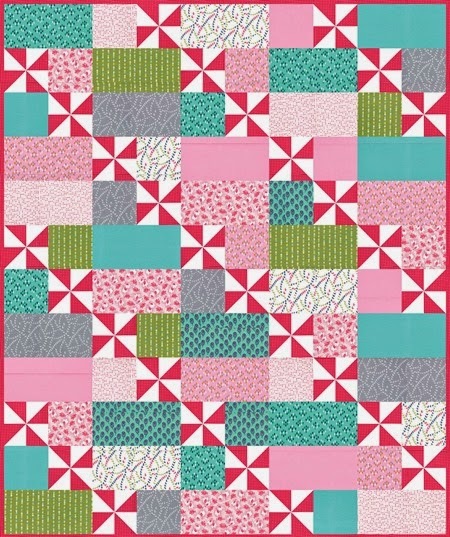 These are beautiful Qiults, I love the pinwheels and use them a lot in my quilts. Where did you get the ruler fabric? I love it! And your quilts and design are so fun! CCS has some truly great patterns — I can't wait to get my hands on these. Love both quilts! But, don't you know, I have a soft heart for pinwheels! Wish I could show you but I just finished another tutorial baby quilt that you made. It was the hourglass one with blues and citrus colors! (I even backed with the same pinwheel fabric) It was for my new grandson Hudson. (my daughter went c-razy when she opened the package)! I loved that quilt from the minute you posted it! So happy for your busy success! (and your kids just keep getting cuter and cuter)! Love them both, and immediately ordered them. Though the last thing I need is more patterns! I have more fabric and more patterns than I'll ever have a chance to use – but, I'll keep trying! And I do love your fun patterns. 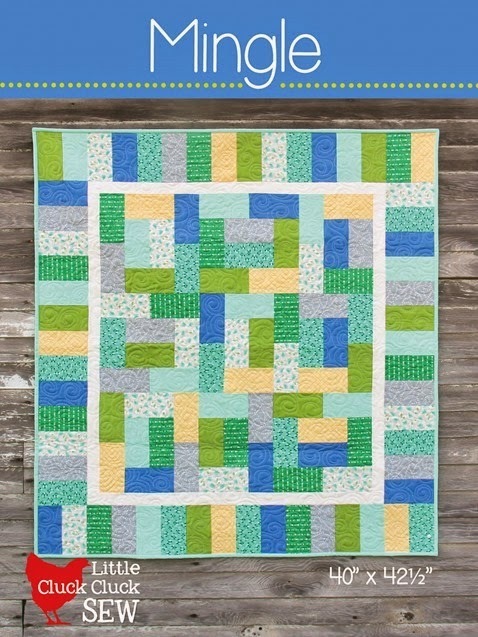 I used the Inside Out pattern recently for a baby quilt – and ended up referring quite a few people back to your site because they liked the quilt. So did I – and the baby's family. Wow-eee! 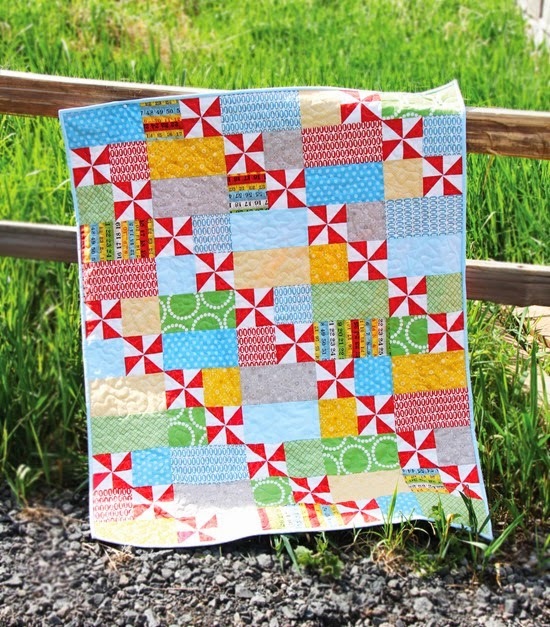 These two quilts are super cute! Fabulous swirl quilting!!! Hi! Just wondering if you ship to the uk? Love all your patterns! Thanks for the sale code. Ordered Mingle. Looks Like I could also do it with a jelly roll….and since I already have one of that exact fabric-yep you know what I'm doing this weekend! 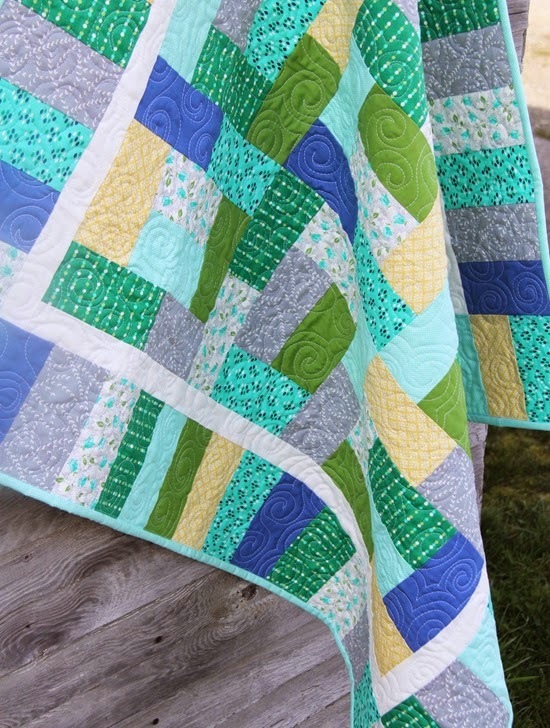 I know what you mean — swirls or spirals are HARD to quilt! For the longest time mine looked like Captain Hook's hook, but finally, SLOWLY they're getting smoother. Yours look great. Oh and will you ne teaching a class in Sleep Quilting? Sign me up, please! :-). No wonder you're so much more productive than the rest of us! 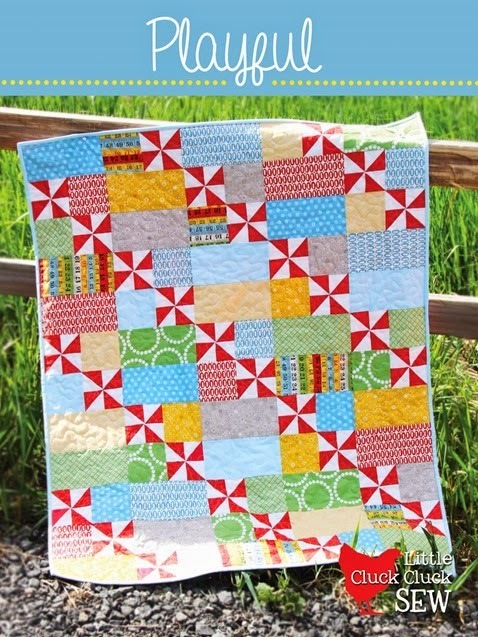 Both these quilts are sweet, but I'm really crushing on the pinwheels. I think I need to start making smaller quilts. I need some FINISHES, and there are so many blocks I want to try. 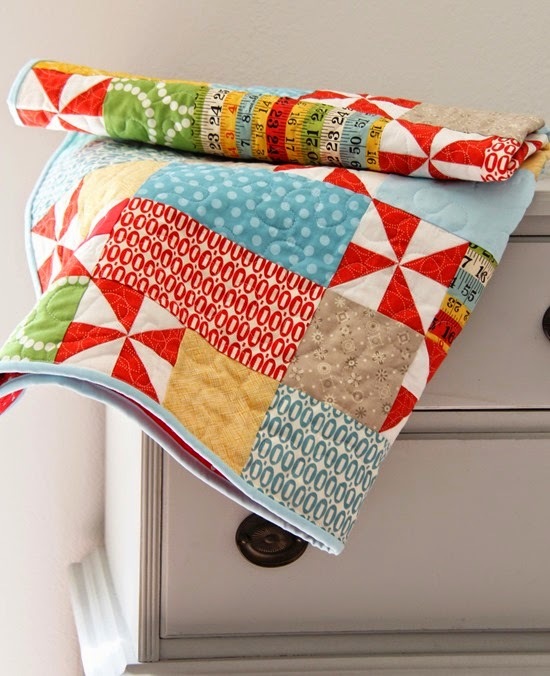 Plus it would be nice to have a few baby quilts stashed away and ready for gifting. Those are the patterns I bought! I love them!!! Oh, I love love them both! You have such talent!! I bought your 'touchdown' pattern and was so pleasantly surprised to see how well written it is! I love the way you have the pattern like a mini book. I have three 'seahawk superbowl' quilts to make and am using your footballs to outline superbowl t-shirts that I have bought. Thanks for making such an excellent product. 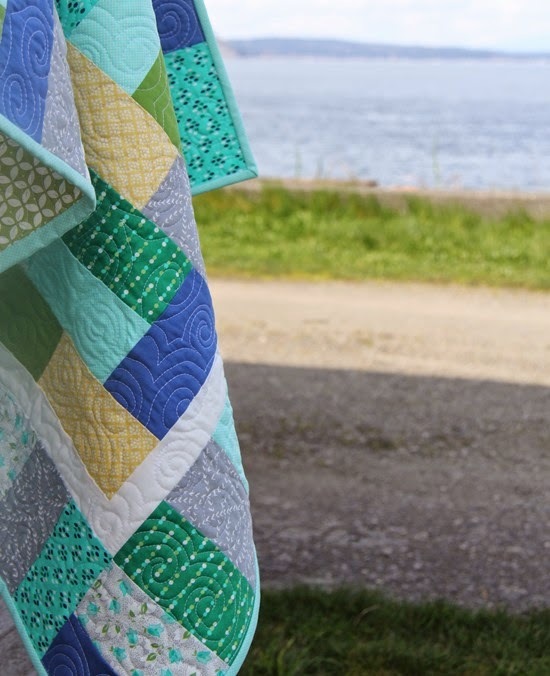 Also – I hope to get to meet you this year at the Quilted Strait Quilt Shop at shop hop. I love Vanessa's fabric too, such beautiful colours! Looks so fresh used in your pattern. Those are adorable! I love baby quilts. My favorite is the hot pink one. i love all tho. 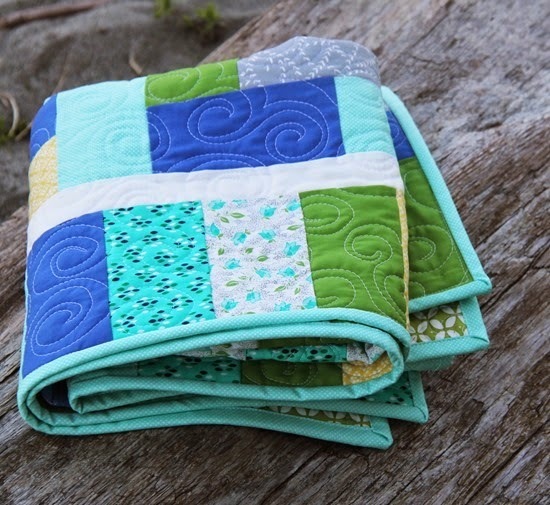 Your swirl quilting is fantastic! love the little baby quilts. Color Me Happy is my favorite line that has come out in a looooong time and I don't want it to ever go away!! I love it so much!! Thanks for your great blog. I finally printed out your instructions for the baby wrap because my almost two year old granddaughter simply loves her new 'baby'. She gets so frustrated that she cannot keep that baby wrapped in her own blanket.